Keells takes another step towards revolutionizing the local retail landscape with the introduction of their fresh guarantee return policy, which offers customers Double the Money back on any fresh produce they are not satisfied with. This recent introduction from Keells marks one of the initiatives to be launched after their re-branding. Caring for customers and delivering the freshest produce each and every day is of utmost importance and introducing this policy is a testament to this. The fresh produce collection center teams directly liaise with farmers to ensure that the best produce comes to the stores within 24 hours of the produce leaving the farm gate with quality checks performed at farms, collections centers and at Keells stores. Another innovative offering is the introduction of cooked food counters at 39 stores which provides tasty and quality meals for lunch and dinner which includes Sri Lankan rice and curry and specials such as Nasi Goreng, Biriyani to Pasta dishes. The fresh juice bars available at 58 stores has become an instant hit with Keells customers, with an alternative of juices with no added sugar for the health conscious customer. These additions not only strengthen Keells’ promise of freshness but also combines with convenience for the busy customer. 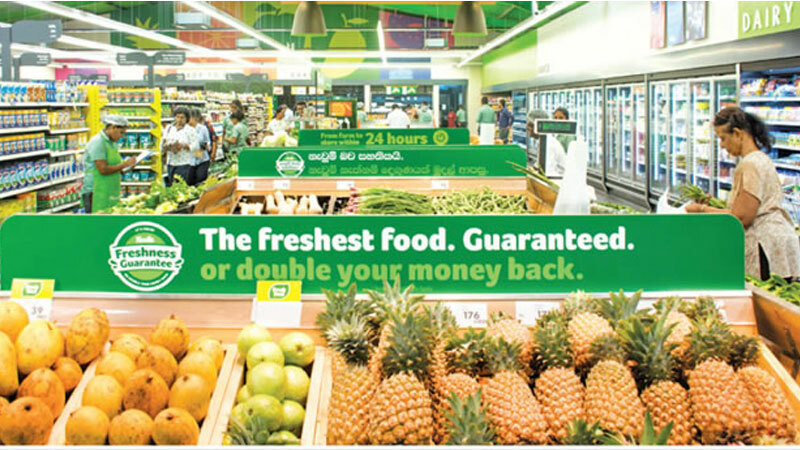 With the new policy on Fresh or double your money back, customers who are not satisfied with the fresh produce, have to present the produce along with a receipt to the store they purchased it from and talk to one of the team members in order to obtain double their money back.